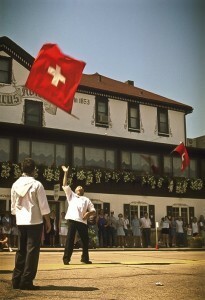 Over 150 years ago, the Swiss established a city in southern Wisconsin that we now call “America’s Little Switzerland.” And if you like folk traditions in a friendly atmosphere, you’ll want to experience New Glarus for yourself! The spirit of Switzerland is clearly alive in New Glarus’ stunning architecture, delicious cuisine and, of course, beer. 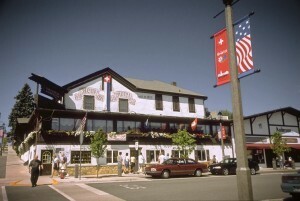 The city features festivals throughout the year, two museums, and local shops where visitors can purchase anything Alpine. For an especially Swiss experience, dine and stay at the beautiful Chalet Landhaus Inn & Restaurant. A Swiss-trained resident chef shares his secrets for preparing specialties and offers demonstrations for large groups. Then follow up your meal with a visit to “Swissland”, an 18-hole mini-golf course right across the street. For many, and for good reason, the name “New Glarus” is synonymous with the New Glarus Brewing Co. It has been named one of the top 10 breweries in the world by The Beverage Tasting Institute. And because New Glarus beer is exclusively sold and distributed in Wisconsin, favorites like Spotted Cow and Fat Squirrel have reached legendary status throughout the country. From the hospitality to the culture, a visit to New Glarus is like a trip to Western Europe. The best part? No passport required!